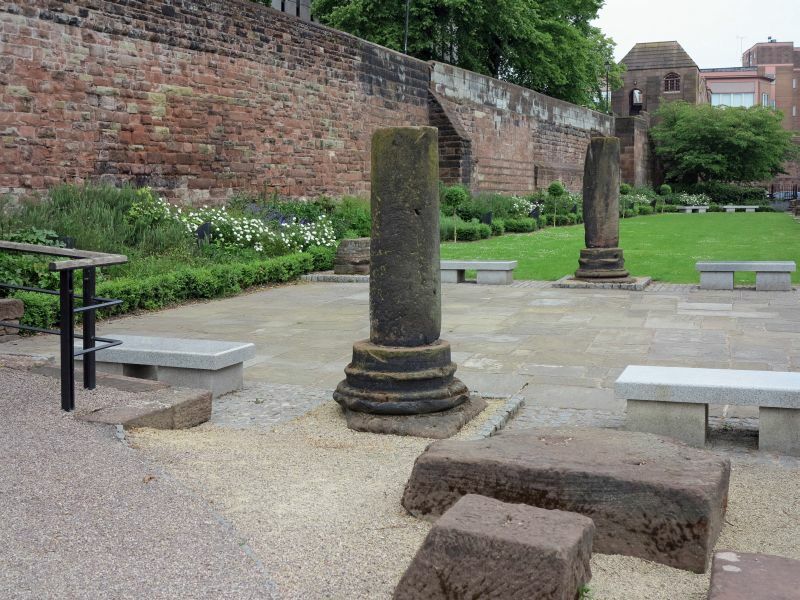 In Roman times Chester was known as Castra Deva, meaning “the military camp on the River Dee” and was home to the 20th Legion (Valeria Victrix) for about 200 years. 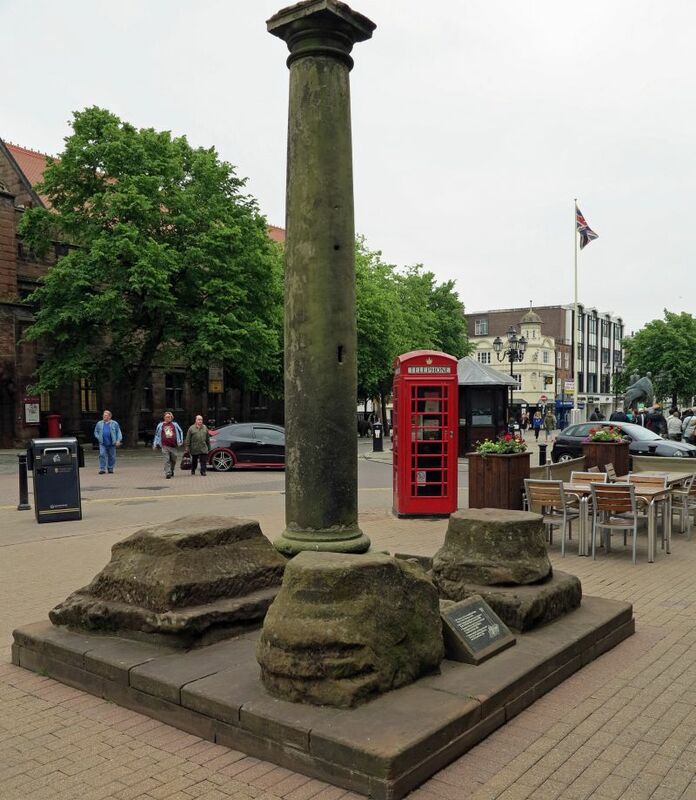 Chester’s geographical position made it one of the finest strategic outposts of the Roman Empire. The River Dee, before it silted up and became un-navigable, was an important trade route. 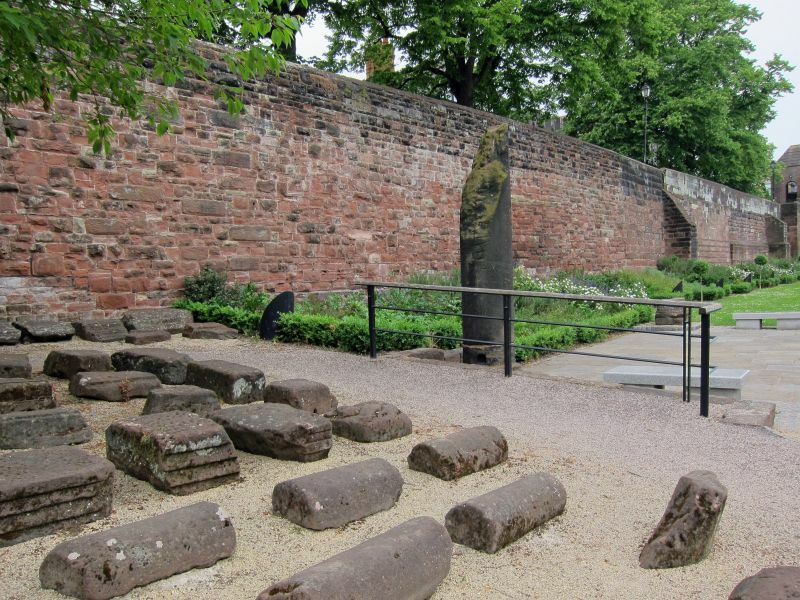 The Roodee (Chester’s racecourse) was once a Roman harbour and the dispatch point for raw minerals, such as lead and copper from mines in nearby North Wales, to the rest of the Roman Empire. 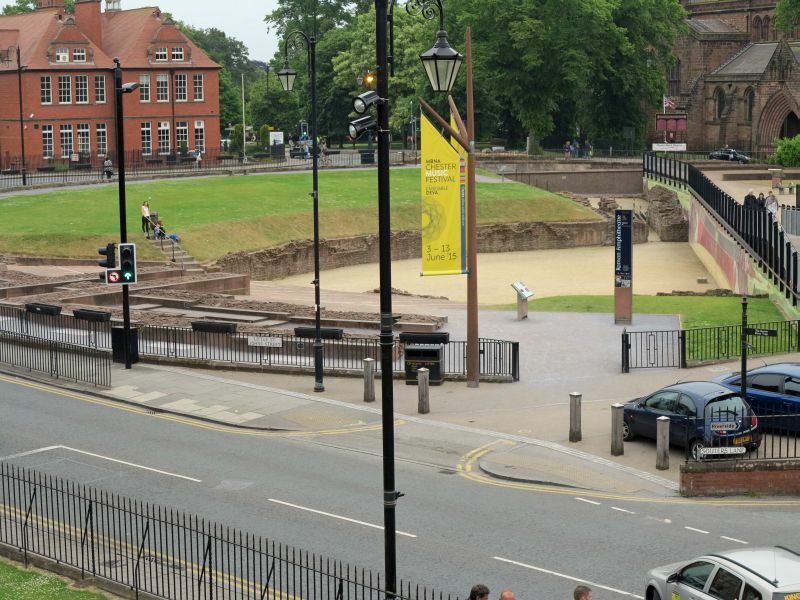 The original Roman quay can still be seen at the foot of the medieval walls if viewed from the racecourse. About AD 100, an amphitheatre was built immediately outside the south-eastern corner of the fortress defenses. 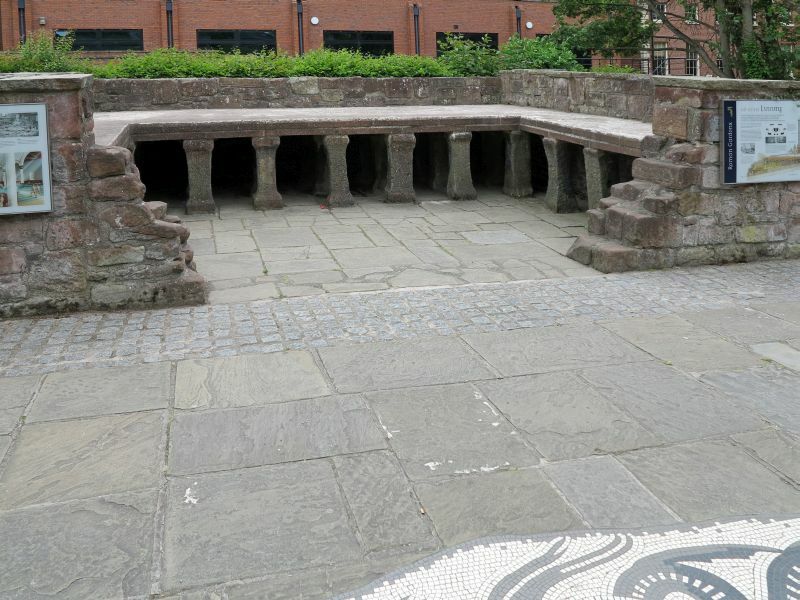 The Chester amphitheatre is one of the largest known from Roman Britain. Today almost half of the structure, including entrances on the eastern and northern sides, is visible. 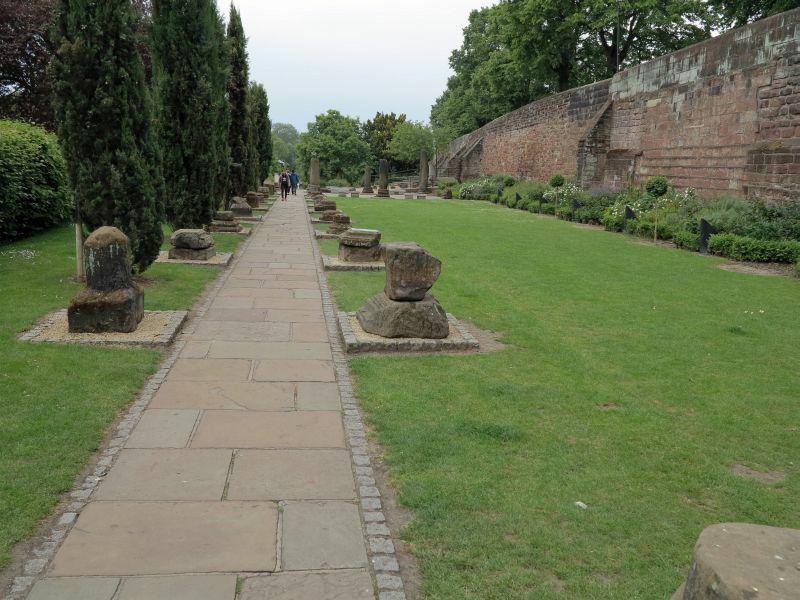 It is thought that the amphitheatre could have held up to 7,000 spectators sitting on tiered rows of wooden seats, arranged similar to a modern stadium.